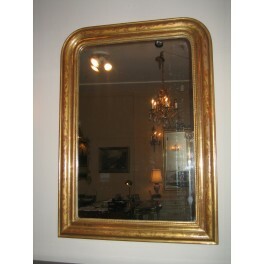 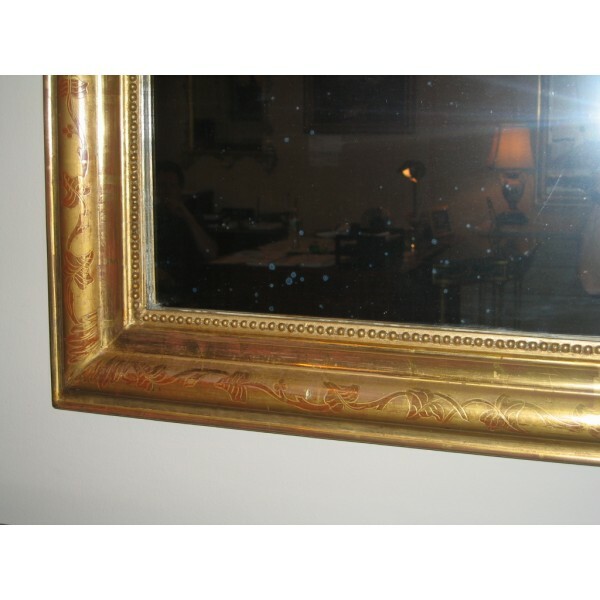 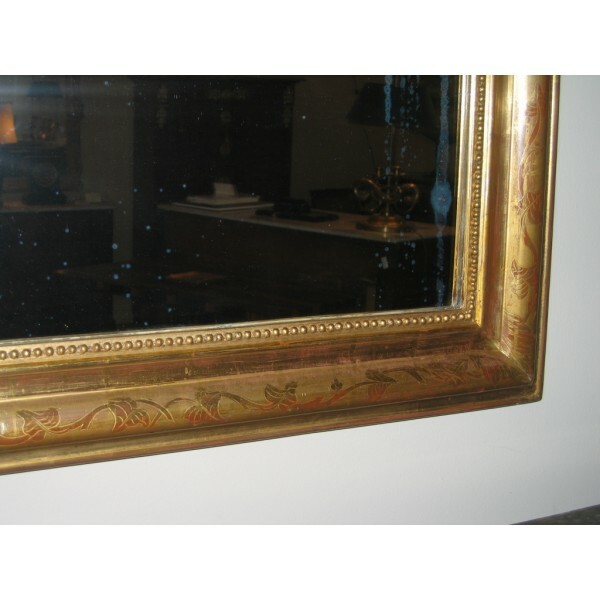 Louis Philippe gold leaf frame mirror with floral etching circa 1870. Dimensions hieght 47in. 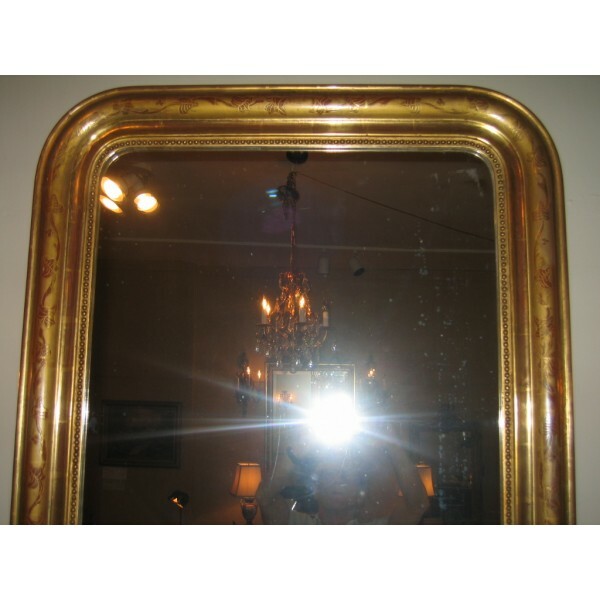 width 34in.